Mackenzie Scott, who performs under the moniker Torres, has been a force to be reckoned with ever since she entered the music scene in 2013 with her self-titled debut album. 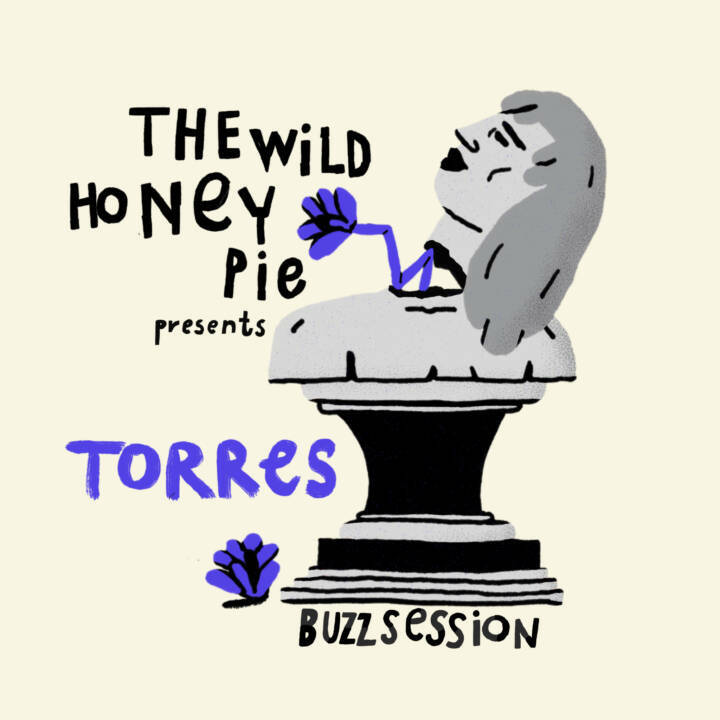 Six years later and with three studio albums under her belt, Torres has given us an array of sounds, still whether it be glitchy rock and roll or stripped-down and somber, she has always stayed true to her singer-songwriter roots. In this black and white Buzzsession directed by Austin Deery and shot at Brooklyn's Hart Street Studios we're able to see Torres free from any bells and whistles, giving us the classic feel of a visceral artist. In "A Few Blue Flowers” we get see a look inside an unreleased track that depicts the aftermath of longing. With an opening that plays like a solemn hymn and guitar tones that reflect that of organ, there is a mourning in this song, as if recalling the past is the next step to finally laying it to rest. As Torres sings, she gives her all to not only the memory but the art she has created with it. Within the lack of color, the moody black and white landscape provides, the imagery of "a few blue flowers" finds a way to properly stand out. In "Gracious Day" the steady tone of Torres's voice is peaceful and assuring. "I don't want you going home anymore / I want you coming home" she passionately sings, extending an offer but rather yet, a plea for her and her lover to take the next step in their relationship. While the original version features lo-fi vocals, this performance breathes new life into the song and reveals its intrinsic tenderness and subtle depth.